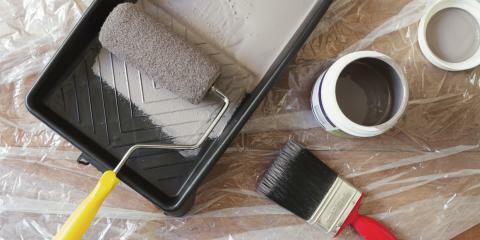 Are you looking to apply a fresh coat of paint to your home or business? When it’s time to update your property’s look, it's important to hire a professional painting contractor who can ensure that your paint is applied with the proper techniques and precautions. Baney Painting in Lewisburg, PA, has over 30 years of painting expertise to offer property owners throughout Union County. Locally owned and operated, this licensed and insured painting contractor knows just what to do when it comes to taking faded and worn-out painted surfaces and turning them into vibrant, durable masterpieces. Whether you’re looking to change an interior wall color or your home’s exterior needs a fresh coat of paint, there’s no interior or exterior painting job too big for them to complete promptly and affordably. Additionally, their team handles all the prep work. If your home needs pressure washed before a fresh coat of paint can be applied, this painting contractor has the equipment needed to make sure your exterior surfaces are well cleaned and properly prepared for a long-lasting paint application. They also offer roof coating and deck staining services. Don’t tackle your next home improvement project alone; get the professional painters on your side by contacting Baney Painting. Call (570) 523-3835 to schedule your free estimate today.